Once upon a time, vending machines housed nothing but picked-over candy bars and sadly undersized bags of chips. But over the years, the automated dispenser market has gotten much more creative. The vending machine producers (who also seem to be vending machine obsessives) from Express Vending put together this infographic showing off the best and strangest things you can currently purchase at vending machines around the world. 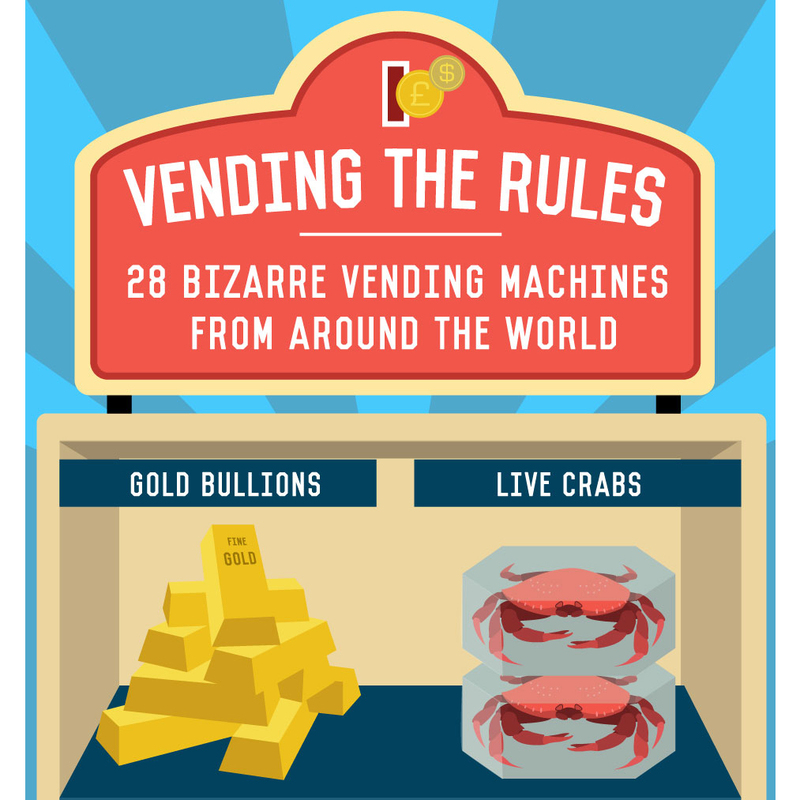 We would totally hit up the live crab vending machine in China. Check out the graphic below to see everything else you can get that is way better than the 100 Grand bar nobody in your office wants to spend 75 cents on.